Framed Size: 13" x 15 3/4"
Description: This is an original etching created from a painting by artist Alonzo Chappel. 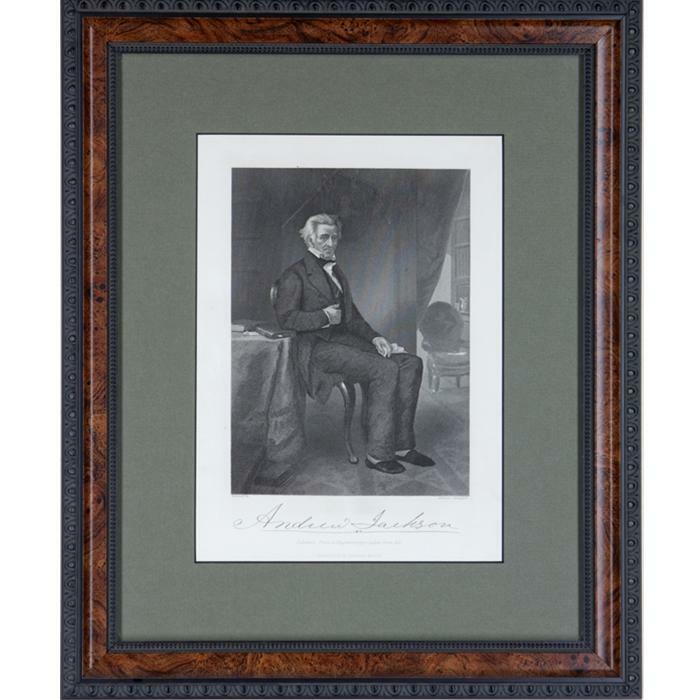 The picture is framed in a 1 1/4" wide aged walnut and black wood. Framing also includes U.V. Filtering glass and an acid free mat with a black bevel.